Zone creates functional well designed products for the home, bathroom and kitchen. Zone products are developed in collaboration with skilled and talented Danish designers. The Nordic style is distinct and supported by simple lines and clever features that bring joy to everyday life. Villa Collection is the ‘new’ brand which includes the collections of Galzone (known for its eco-friendly products) and KJ Collection (know for its home decoration). Villa Collection Denmark has a wide range of beautiful products where customer can freely combine items by maintaining cohesion between the different products. Villa Collection also provides a wide range of lighting products; they create atmosphere, ambience and is a vital element of our life and existence. A Simple Mess is a Danish brands which reflects to the mess of the lived life: at A Simple Mess they truly love coming into homes with cosy disarray, places where you can get a real sense of those who live there – it’s the kind of mess that gives a home warmth and personality. The face behind A Simple Mess is Louise Dorph, a well known blogger, designer and concept developer in Denmark. High spirits and good mood, the unforgettable moment where the heart is seized with a special feeling. This is what means “a shining moment” for Sirius. Sirius is a Nordic brand that creates light decorations and designs in tune with popular classics and latest trends. It all started in 1985 with product development and production of light decorations and spot lights, where a deeply felt passion and true interest in light lead to a close cooperation with selected designers. Sirius is known for being able to inspire and to set trends for home decoration lighting. Sirius is not only known for Christmas light but alsof or all-year decoration light. This makes it possible anytime to create a magical and pleasant atmosphere with light decorations. 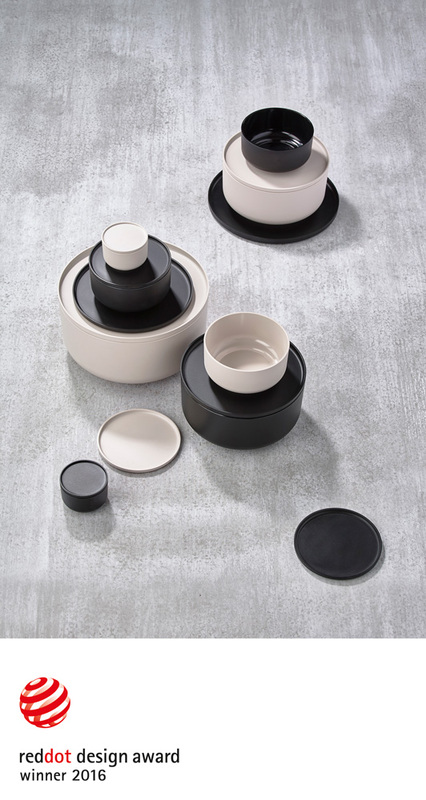 As the name of the brand already lets suspect, Vita Copenhagen is a Danish design brand which takes the Scandinavian design traditions further than ever before. They combine aesthetics, simplicity and functionality, and infuse it with thoughtful craftsmanship and environmental care. This is the result: exquisite designs with a sustainable edge. Vita Copenhagen produces lamps since 2008 and is constantly growing, and now already available in 40 countries around the world. They pursuit beauty and sustainability, and seek the harmony and distinction of the Nordic landscape. The designs are deeply rooted in the diverse urban landscape and raw nature surrounding in the pulsating heart of Copenhagen, Denmark. Mette Ditmer designs home accessories under her own name since 1995. 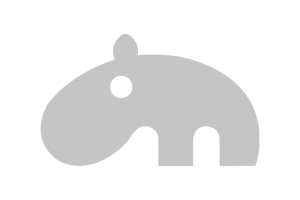 It’s a Danish brand which can be recognized by its straight lines and its simplicity. Many hours are spent to details of the products which makes that products have a strong expression and cohesion. The motto is “keep it simple” and one of Mette Ditmer’s quotes is “Design is like real life: it is the small things, the details, which make the difference”. Skandinavisk was started by two English chaps who fell in love with two blonde Scandinavian girls and never left. Launched in 2013, the product collection is the result of over fifteen years of travels and experiences across the Nordic region. They offer a large variety of home fragrances and hand & body products. All the fragrances are designed in Denmark, and produced in Grasse, France. The product collection for the hands and body is produced in Denmark and Sweden. The candles and diffusers are produced in France. All fragrances are designed to specifically reflect the nature and lifestyle of the Scandinavian region and, like Scandinavian design itself, the fragrances are subtle and refined. Done by Deer is a Danish company, founded in 2014 and designs modern lifestyle products for families with babies and toddlers. Done by Deer is for families who want to maintain a balance when decorating with kids in mind and still appreciate the simplicity of Danish design. They combine modern Scandinavian design with features that are fun and playful. Products are designed in-house in Denmark. Pluto Produkter is a Swedish design company founded in 1996. They produce home accessories, gift items and Christmas decorations. The Scandinavian style is very typical: traditional shapes are used and combined with a modern look. Pluto intoduced their products for the first time on the Formex Design Fair in Stockholm (Sweden) and they immediatelly were a success! Pluto now sells its products all over the world. The collection cosists mainly of candleholders, hangers, napkin holders and (Christmas) decorations. Rustik Lys finds its origin in Denmark. Since 1995 Rustik Lys produces high-quality candles with respect for human and the environment. Some of the candles are produced by hand, and all of the raw materials (like paraffin etc.) are from European origin. The fabrics used to be in Denmark, but are now located in Eastern Europe. Novoform is a Danish design company, built on a solid foundation of Scandinavian design traditions. With emphasis on natural materials and soft colors, they create their collections with inspiration drawn from everyday life, great people and the beauty of nature. They aim to keep things simple and develop desirable products that are worth keeping for a long time. It all began in 1983 when Mr Bernd Schneider, founder of Vacu Vin, came up with the idea for the Vacuum Wine Saver. His idea for the Wine Saver sprang directly from the taste of spoiled wine. Together with his brother John, an engineer, he developed a device to preserve opened bottles of wine. Today, the Vacuum Wine Saver is used in over 35 million households in more than 80 countries throughout the world. In 1986 Vacu Vin was founded to manufacture and distribute the Vacuum Wine Saver, soon to be followed by the introduction of many other innovative houseware products. Today, the Vacu Vin product range has proven its success by being granted over 20 international Design and Trade Awards. 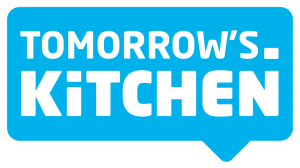 Tomorrow’s Kitchen is a new brand of the International Innovation Company (IIC). It’s a family company and a real trendsetter in ‘Dutch Creative Brands’. The family company finds it very important to produce all things within the borders of Europe, and today over 150 mentally or physically disadvantaged people are involved in the production! The importance of social responsibility of this company could not be underestimated: not only do they employ disadvantaged people, but IIC also founded a foundation which has helped over 50.000 disabled children and has realized many usefull facilities in developing coutries. Tomorrow’s Kitchen will not immediatly ring a bell, but if you say VacuVin a lot of people will know this brand: it’s also part of IIC but due to the new sales approach, ‘Dutch Creative Brands’, VacuVin will only cover all wine and bar accessories. And so 2morrow’s Kitchen will put the focus on innovating kitchen items! Anette Jakobsson is a Swedish designer with products all in the same design. 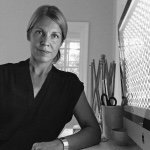 She’s based in Stockholm and has a passion for patterndesigns for interior- and textile products. The trivets, trays, boards and coasters are available in 5 different designs. The designs perfectly fit together and fit in any home. It’s a temporary design with a Nordic touch. Next year new items will be added in the same designs, but we’ll keep it a surprise for now! Felius Design is a small design company in Denmark with decorations for your interior based on minimalistic and elegant looks. All the items are manufactured in Denmark, so with respect for the local economy and of a sustainable quality – all items are timeless so it must be possible to re-use them year after year. As you will see, Felius Design has only products for special occasions: Easter and Christmas. So these products will not be available the whole year. RIG-TIG is more than just a name. We try to think and act smart. We design award-winning, functional products that make life easier and more fun—while we are keeping nature’s limited resources in mind, whenever possible. Surprising, innovative, best-in-class, high-quality Scandinavian design – the brand that tickles the design gene. Stellan and Carton were two friends who merged their first names in forming one of Denmark’s best-know design brands, Stelton. Niels Stellan Høm and Carton Madelaire were army pals who joined forces 50 years ago to start a trading company. They tried their hand at sports shoes and furniture, but their business did not really take off until they heard about a small factory in Fårevejle, Denmark, called Danish Stainless. Danish Stainless produced stainless steel tableware, which was very much in vogue in Denmark’s 1960s. Upon entering into an agreement with Danish Stainless, Stelton began marketing a stainless gravy boat that sold like hotcakes in Danish hardware stores and was also a hit outside Denmark. 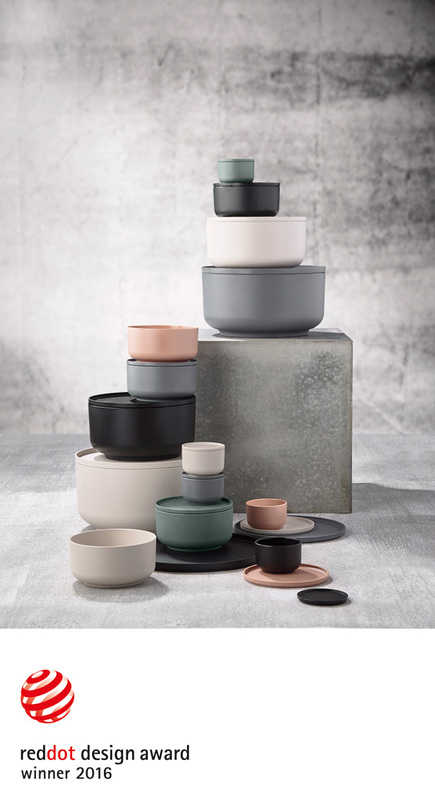 In the United States, Stelton products were the epitome of Danish Design and sold at ten times their Danish prices in high-end department stores and design boutiques. A new managing director, Peter Holmblad, brought his far-reaching vision with him when he joined the company. New catalogues, packaging and graphic design all helped create a new design brand. 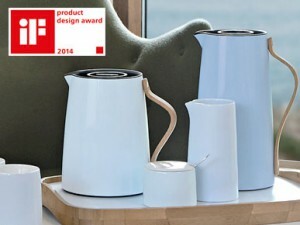 However, Peter Holmblad was convinced that Stelton could survive only through new product design. Far too many companies produced the same kinds of products. As the stepson of Arne Jacobsen, who was perhaps Denmark’s greatest architect and designer ever, it was natural for Peter Holmblad to approach his stepfather with a proposal. BeauNoir offers bed linen in different soft colors which you can combine one with another. The bed linen are fabricated in Belgium and the cotton has its origin in Portugal. Every set is available in 1 print or in double-face. There are 19 colors which you can combine, so 342 combinations are possible! Take a look and start making your favorite combination!